(AP)—European police have taken down a computer network that used malicious software to infect more than 3 million computers worldwide and steal personal data, banking details and passwords. 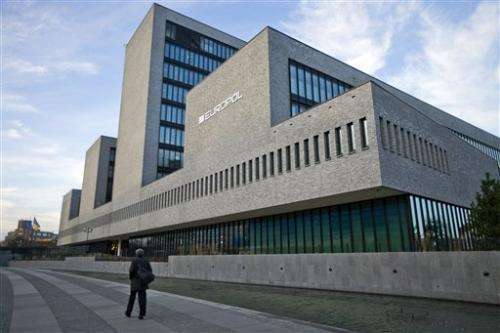 European Union police coordination agency Europol said in a statement Wednesday that the network, known as the Ramnit botnet, was dismantled in an operation Tuesday by cybercrime experts coordinated from Europol's headquarters in The Hague. The operation involving investigators from Germany, Italy, the Netherlands and Britain along with representatives from companies including Microsoft and Symantec shut down control servers and redirected Internet domain addresses used by the network's criminal operators. Symantec says in a statement that the network had been operating for at least five years and "evolved into a major criminal enterprise" that defrauded large numbers of victims.